As the Lok Sabha elections come closer, the prominence of the first Prime Minister in the national political discourse is likely to only increase. Well over a half century after his death, Jawaharlal Nehru remained perhaps the most spoken about Indian leader in 2018, a man who was able to dominate debate and conversation on politics without even participating in them. As the Lok Sabha elections come closer, the prominence of the first Prime Minister in the national political discourse is likely to only increase. From his purported attitude towards the armed forces to his agricultural policies, Nehru and his actions have been questioned and criticised on a range of issues, and even his personal style such as the red rose he wore in his buttonhole and the style of jacket that came to be named after him, have become talking points. In many cases, Prime Minister Narendra Modi has led or provided the cue for the (mostly critical) narrative. Back in 2013, when Modi was Chief Minister of Gujarat, he had compared Nehru unfavourably with his senior contemporary Sardar Vallabhbhai Patel, saying that the latter would have made a better first Prime Minister of the country. With Modi as Prime Minister, functionaries in the government and the ruling party have repeatedly attacked Nehru and his political heirs, while seeking to appropriate other great figures of India’s struggle for freedom, including, besides the Sardar, Bhagat Singh, and Babasaheb Ambedkar. As early as in 2005, the historian Ramachandra Guha wrote: “A major reason for the fall of Nehru’s reputation lies in the misdeeds of his family. What we have here, as the sociologist André Béteille has pointed out, is the reversal of a famous Biblical injunction. Instead of the sins of the father being visited on his children, for seven successive generations, in Nehru’s case, the sins of the daughter and grandson have been visited upon him.” (Verdicts on Nehru: Rise and Fall of a Reputation, Economic and Political Weekly, May 7, 2005) Over the last five years, the “sins” of Nehru’s granddaughter-in-law Sonia Gandhi and his great-grandson Rahul, too, seem to have been visited upon him. 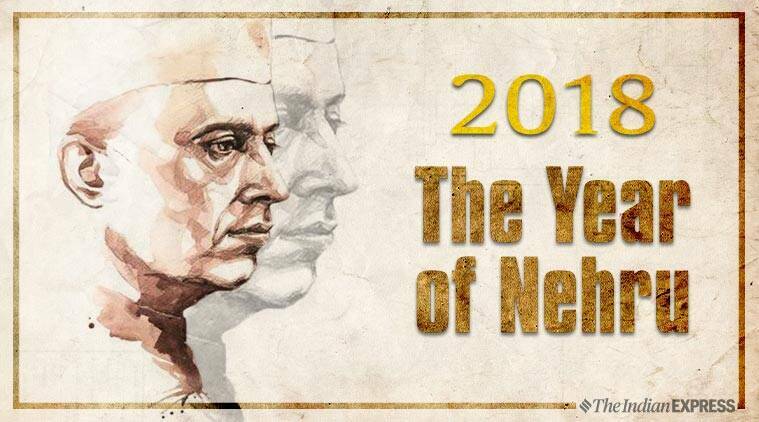 Here are five major controversies of 2018 that had Nehru at their centre. During the campaign for the Karnataka Assembly elections, Prime Minister Modi claimed that Nehru had insulted General K S Thimayya, one of the key officers who ensured the defeat of Pakistan in the 1948 war. “In 1948, it was under General Thimayya’s leadership that the war against Pakistan was won. 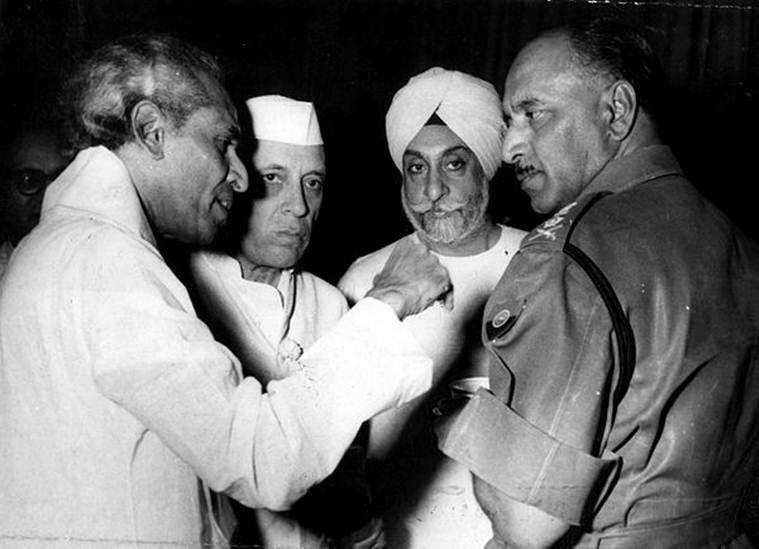 But after that victory, the saviour of Kashmir, General Thimayya, was repeatedly insulted by then Prime Minister Nehru and then Defence Minister Krishna Menon. And it was for this reason, for his honour, that General Thimayya had to resign from his post,” Modi said in an election rally at Kalaburgi in Karnataka in May. Gen Thimayya belonged to Kodagu, Karnataka. Thimayya was involved in the 1948 Kashmir war after he was appointed as GOC of Jammu and Kashmir Force (later 19 Infantry Division) by K M Cariappa, who was then the Western Army Commander. Thimayya personally led the surprise attack on Zoji La on November 1, 1948, driving out the tribal raiders and regulars of the Pakistan Army. Thimayya became Chief of the Army Staff only in 1957 — Nehru chose him ahead of two more senior Lt Generals, Sant Singh and Kulwant Singh, and it was alleged at the time that he had got the post because of his closeness with Nehru. V K Krishna Menon became Defence Minister around the same time, and Gen Thimayya and he did, indeed, have a testy relationship. Thimayya also disagreed with Nehru on policy matters, and these disagreements led to him to offer his resignation in 1959. But Nehru declined to accept it, and Gen Thimayya served as Army Chief until 1961, retiring 15 months before the 1962 war with China. Also read: What lay behind Thimayya-govt friction? Also during the Karnataka campaign, @narendramodi_in, the handle of narendramodi.in, posted on Twitter: “When Shaheed Bhagat Singh, Batukeshwar Dutt, Veer Savarkar, greats like them were jailed fighting for the country’s independence, did any Congress leader go to meet them? But the Congress leaders go and meet the corrupt who have been jailed: PM @narendramodi”. The fact is Nehru did, in fact, visit Bhagat Singh and the others in prison. In Lahore on August 9, 1929, (reported by The Tribune, August 10, 1929), he said: “I visited the Central Jail and the Borstal Jail yesterday and saw Sardar Bhagat Singh, Mr Batukeshwar Dutt, Mr Jatindranath Das and all the other accused in the Lahore Conspiracy Case, who are on hunger strike… Those who cannot be forcibly fed… are dying slowly from day to day and the final act in the tragedy cannot be long delayed. The condition of Mr Jatindranath Das is specially critical… It was very painful for me to meet these extraordinarily brave young men and see their manifest suffering…” (Selected Works of Jawaharlal Nehru (1973 edn), Vol 4, p 13). Jatin Das died on September 13. 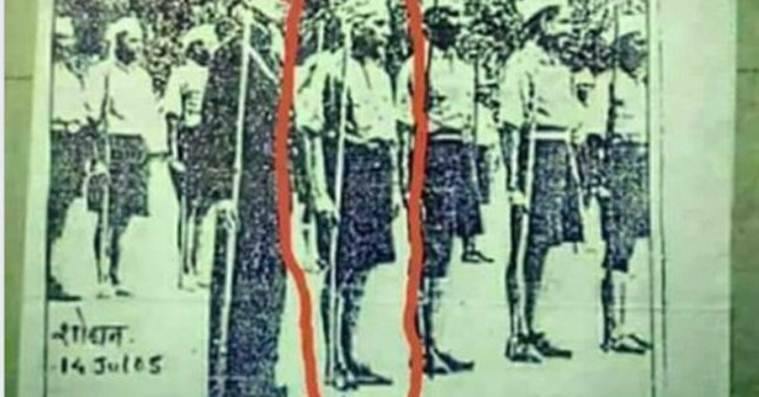 Again in May, a picture of Nehru in shorts and a cap, and holding a lathi, went viral on social media. There were claims that Nehru had attended a shakha of the Rashtriya Swayamsevak Sangh (RSS), wearing the swayamsevak’s uniform. It emerged subsequently, however, that the picture was not from an RSS shakha, but from a camp of the Seva Dal, a grassroots organisation of the Congress. The fact-checking website AltNews said the picture had been taken in Naini in 1939 and showed Nehru wearing the white cap of the Seva Dal, not the black cap of the RSS. The Nehru Memorial Museum and Library was established in 1964, months after Nehru’s death, in Teen Murti House, the official residence of India’s first Prime Minister. The NMML website says it was “established in the memory of Jawaharlal Nehru”, and to “take forward key elements of (his) vision”. NMML “seeks to give a glimpse of Jawaharlal Nehru’s life and work and of the great movement to which he gave his all, and a Centre for study and research. It also provides record of and a glimpse into the early years of independent India. The NMML aims to contribute to a better understanding of the man and his times by succeeding generations, and thus serve as a link with the past and the future of India”. Over the last few years, a perception has gained ground that the current government is working to make major changes in the structure and working of the institution. These have included public criticism of a director by the Culture Minister, following which the former put in his papers, and a move to create a museum dedicated to all the Prime Ministers of India within the premises of Teen Murti. In August, former Prime Minister Manmohan Singh wrote to Modi asking him to not disturb the Nehru Memorial. The letter underlined that Nehru belonged not just to the Congress, but to the entire nation, and that his legacy should not be disturbed. 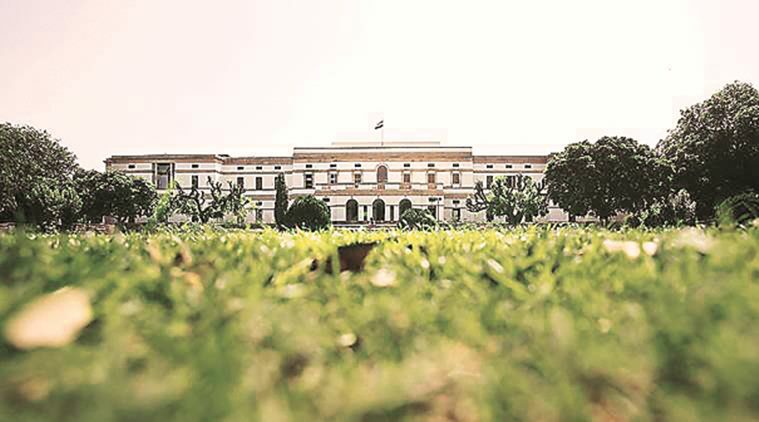 In September, the government asked the Jawaharlal Nehru Memorial Fund (JNMF) to vacate the premises of Teen Murti Bhawan in order to make space for the new museum. The JNMF has over decades worked extensively to collect documents, video and audio clips, photographs and other material on Nehru and his family. The notice for eviction has been interpreted as an attack on Nehru’s legacy. In October, the foundation stone for the new museum was laid within Teen Murti Bhawan. “The design of the proposed Museum shall be symbolic of an emergent and rising India, shaped over the years by its eminent leaders and would focus on collecting, documenting, researching and disseminating information in respect of all the Prime Ministers of India on aspects of their leadership and service to the nation and preserving the legacy of their lives,” the official press release said. The traditional short, sleeveless coat with a closed neck collar is among the most significant sartorial legacies of any Indian politician. Popularly known as the “Nehru jacket” after the first Prime Minister who frequently wore it, the garment went on to become a staple of Indian formal and semiformal men’s wear. Moon tweeted a photo wearing the “Modi Jacket”. In 2018, however, the Nehru jacket has increasingly been referred to as the “Modi vest”. 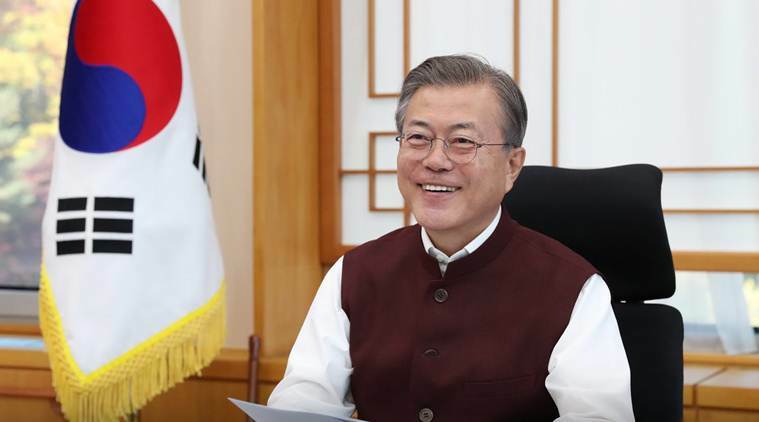 In October, South Korean President Moon Jae-in thanked the Indian Prime Minister on Twitter for gifting him “Modi vests”, and was promptly corrected by other users on the social media site. The jackets that are commonly sported by Modi are designed and manufactured by an Ahmedabad-based business that has labelled them as Modi jackets. “Nehru jackets are heavy and are a thing of the past. We only make Modi jackets. They are lighter and fit better,” a representative of the brand had told The Indian Express in 2017. 2 Was Mahatma Gandhi racist?